These printable I Spy game sheets (see the download link to snag these below) sure are handy whether you’re taking a road trip, have a flight planned, need quiet time, want to help your children calm down, are in the waiting room at the Doctor’s office, or just want to have a little fun to pass the time! I Spy is a cherished game for children young and old, and this new set will guarantee fun for everyone. Do you need 15 minutes to make dinner? Is your flight delayed at the airport and you’re out of activities? 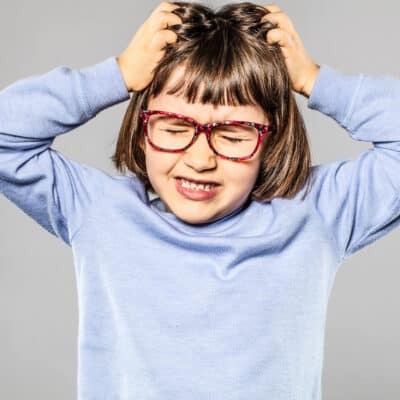 Would you like your kids to play quietly by themselves for a second while you catch your breathe? Are you sitting at the mechanic getting new tires or your oil changes and you need something to help you and your kids pass the time while waiting? 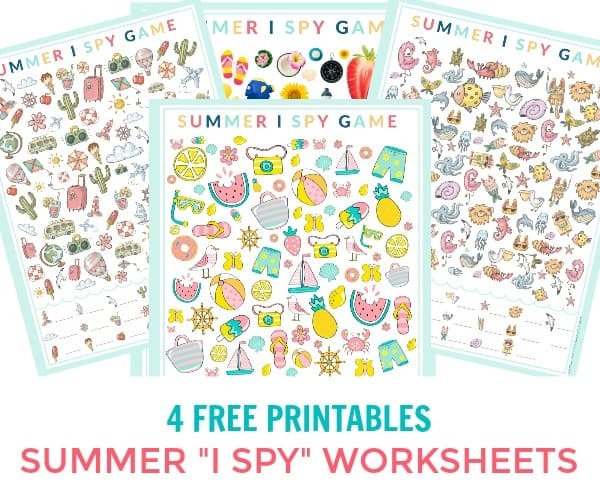 Print out these four different Summer I Spy game sheets, tuck them into your purse, pack them in luggage or print out a bunch to have at home. Each I Spy game is Summer themed with fun graphics and bright colors. Have fun! Corinne, these look awesome. What a great idea for an easy game to entertain the kiddos on the go. I personally love that it’s a good way to play quietly without a screen! I have handed you my contact details and allowed you access to me however your site is now not allowing me to print the 4 free sheets. Is this what to expect.? Have you checked your email? The downloads are sent in a PDF to you via email.